Dr Tony Moore joined the Communications and Media Studies Program as a Lecturer in February 2009, following careers in book publishing and as a program maker at ABC Television. Tony completed his doctorate in Australian cultural history at the University of Sydney, and writes regularly on communications, history and politics in the press and scholarly publications. Through his journalism and publishing projects Tony maintains close industry links with professionals working in the media and policy sectors, which are drawn upon to enhance the vocational depth of the Communications and Media Studies Postgraduate program. Tony has taught at the University of NSW and the University of Sydney. He believes that postgraduate coursework in communications should equip students with the skills and knowledge to think critically and creatively throughout their professional careers. Tony’s research interests include cinema, independent media and creative industries, public broadcasting, popular music, radical political movements and their use of media, youth subcultures and artistic bohemia. Tony’s doctoral thesis examined Australia’s bohemian tradition, a century-long history of creative iconoclasts spanning Marcus Clarke to Nick Cave, Dulcie Deamer to Germaine Greer. His first book, The Barry McKenzie Movies, analysed the cultural significance of the ‘Ocker’ cinema genre of the 1970s. In 2007 Tony was awarded the NSW History Fellowship to research and write Death or Liberty, a history of political prisoners transported to the Australian colonies in the convict era, to be published in 2010. Tony’s scholarly articles have been published in the Journal of Australian Studies, History Australia and Meanjin. Tony’s professional engagement with the media extends back to the mid 1980s when he was NSW community representative on the ABC National Advisory Council. In nine years as an ABC program-maker he worked on seminal feature length documentaries as a researcher, writer, associate producer and later a producer/director. His documentary credits include Nobody’s Children, The Devil You Know, Lost In Space, So Help Me God and Bohemian Rhapsody. As a journalist producer in ABC Current Affairs Tony worked at Four Corners, 7.30 Report andForeign Correspondent. Combining his journalistic skills and scholarly research Tony is a commentator in the print and electronic media, including the Australian, the Sydney Morning Herald and ABC Radio. For over a decade from the late 1990s Tony was publisher for Pluto Press, where he commissioned titles in the areas of political science, history, economics, cultural studies and media. These include important works by scholars such as Ghassan Hage, McKenzie Wark and Judith Brett, and by policy leaders such as Lindsay Tanner. He has been especially committed to working with young emerging writers and postgraduates to get their research published. Most recently Tony was academic Commissioning Editor for Cambridge University Press, for whom he edits an issues series. Tony is committed to channelling innovative research and theory through a variety of media to challenge orthodox thinking, stimulate creative public debate, and provide evidence for policy reform. This notion of ‘ideas entrepreneurship’ connects his careers in academia, broadcasting, journalism and publishing. As an historian he believes knowledge of our cultural traditions enables critical engagement with present problems and opportunities. 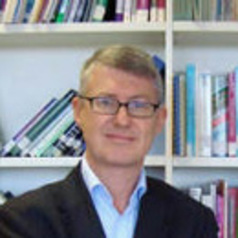 Tony served as Director, National Centre for Australian Studies, from 2010 to August 2013.